"What do you want to be when you grow up?" In preschool, some children wanted to be astronauts and some wanted to be rock stars when they grew up. But not Dr. Allyson, she wanted to be a dentist from day one! Being a positive role model and playing an active part in the lives of children has always been Dr. Allyson's passion. As a pediatric dentist, Dr. Allyson is presented with the opportunity to educate children and their parents, as well as with the opportunity to create positive dental experiences that children can carry with them throughout their lives. Dr. Allyson received her Bachelor of Science degree from the University of Wisconsin - Madison, with a major in Medical Microbiology and Immunology. She completed both her D.M.D. and her pediatric dental residency program at the University of Pittsburgh. Since graduating she has been in private practice with Pine Dental Care. 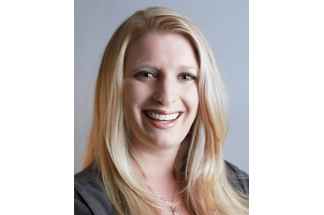 Dr. Allyson is an active member of the American Academy of Pediatric Dentistry, the Chicago Dental Society, the Illinois State Dental Society, and the American Dental Association. During her free time, Dr. Allyson enjoys attending sporting events and cheering on her favorite teams. She is originally from St. Louis, and her husband grew up in Northbrook, IL . She loves spending time with family, reading, and traveling.